I am a retired Boilermaker and Carol is a retired Hypnotist. We love to travel and don't usually stay in one place very long. I Was a welder , and like to tinker in the garage with different challenges. No pets at this time! 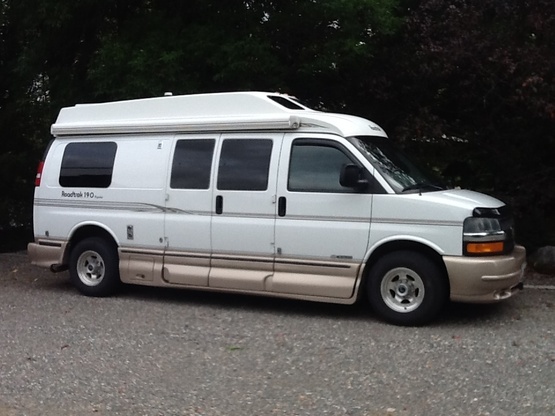 We have a 2003 Roadtrek 190 popular We have done many Mods to personalize it for us. Bye the Lake is a wonderful spot, with a nice level site and electricity. They are very welcoming and gracious. I enjoyed getting to know them and we have several Roadtrek friends in common, so they felt like family. I hope we see each other again! Many thanks. We were warmly welcomed and had a very comfortable stay. Thank you, Bob and Carol, for your kindness and for sharing your beautiful part of the north. I had my first boondocker expriend here and i fell inlove with the boondocker experience. I was nervous and the hosts put me at ease immediately. In fact there were several other boondockers present and they all welcomed me into their family. The hosts could not have been more gracious. I would most defineately say they were incredible. I thank u for my first great experiene w boondockers. We stayed with the ByeBob`s for two nights. From the very beginning on we felt so welcomed. We were invited for coffee in their beautiful house and we enjoyed chatting with them about life, travelling and future plans. They allowed us to park our rig in their parkway next to the house and they gave us full hook up with WIFI. Awesome! 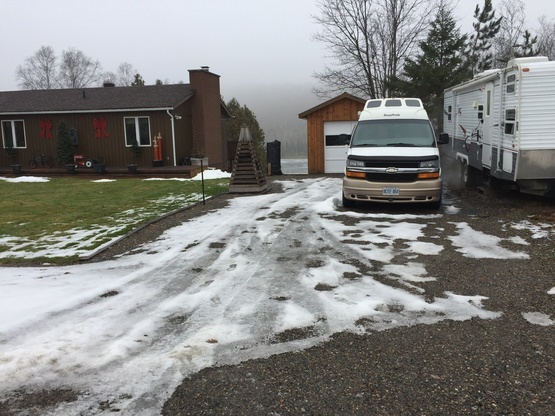 The retired couple owns a peaceful property at a lake with a small private beach and firepit. At the second day they helped us to bring our canoe to the lake and we were able to start a small tour on the lake which we really enjoyed. They helped us also with some repairs on our rig in the afternoon which we really appreciate. We feel very lucky that we had the opportunity to meet and boondock with them. Unfortunately we couldn’t say thanks and goodbye when we left. We wish you guys all the best and fun on your own roadtrips. Safe travels for you!